Welcome to the Creative Kids Culture Blog Hop! The Creative Kids Culture Blog Hop is a place where bloggers can share multicultural activities, crafts, recipes, and musings for our creative kids. We can’t wait to see what you share this time! Here’s my favorite from last time, and this month’s feature on Creative Kids Culture Blog Hop! 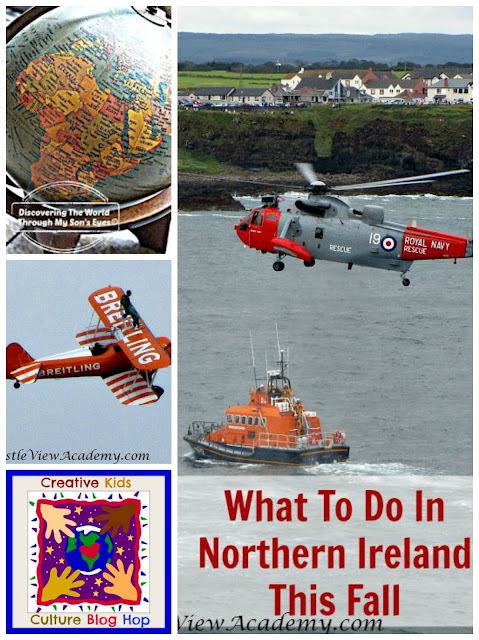 Castle View Academy has an awesome travel post on visiting Northern Ireland during the fall. Weather is cooling off and I’m totally feeling hopping on a plane, and visiting Northern Ireland where Crystal shares 12 Things To Do In Northern Ireland This Fall For Families.